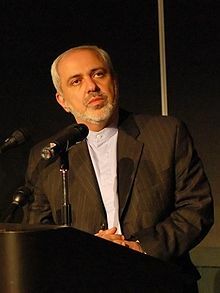 Iran’s semi-official Mehr News Agency today confirmed earlier reports that Mohammad Javad Zarif, Iran’s new foreign minister, will become the country’s chief nuclear negotiator. In the past, the secretary of the Supreme National Security Council had acted as the chief negotiator. The shift from the council to the foreign ministry is significant and shows Rouhani’s vastly expanded control over future negotiations with the West. It makes sense as Zarif is quite familiar with US psyche and AIPAC/Zionist modus operandi. Actually, the Zionists have concluded that considering the regional mess and Egypt imploding, US is desperate to cut a deal with Iran, the strongest and most stable power in the region. The rest of US puppets like EU will simply fall in line with an improved US-Iran relations. JERUSALEM — The election in Iran has increased the likelihood that Iran and the United States could achieve reconciliation in 2014, Israel’s intelligence community has assessed. It’s bad enough that AIPAC owns Congress, using its campaign contributions (1) to maintain the massive Israel aid package to Israel WITH NO CONDITIONS (2) to prevent Congress from even talking about the occupation of the West Bank or the strangulation of Gaza and (2) to instigate war with Iran by insisting that war is the only way to stop Iran’s nuclear program, after AIPAC’s sanctions fail to do the job. US keep financial support for the murdering Egyptian military and also keeping "all military options" on the table for Iran. It also suggests that the US initiate a military attack on Iran sooner, rather than initiate negotiations.